Jeffrey Fields is Associate Professor of the Practice of International Relations and Director of the Dornsife Washington DC Program at the University of Southern California. His research and teaching focus on U.S. foreign policy, diplomacy, terrorism and counterterrorism, international security, and the proliferation of weapons of mass destruction. His most recent book is State Behavior and the Nuclear Nonproliferation Regime, which explores why states choose to support or undermine specific regime components. Dr. Fields' most recent article, "Engaging Adversaries," examines U.S. diplomacy with so-called rogue states. Dr. Fields entered government as a Presidential Management Fellow. He worked as a political-military analyst and later senior adviser at the Department of Defense where his work focused on high impact studies to combat the proliferation of nuclear, biological, and chemical weapons. He also served as a foreign affairs officer at the State Department supporting the Special Representative of the President for Nuclear Nonproliferation. 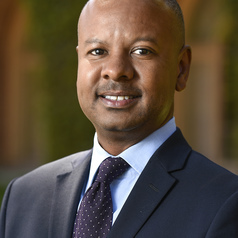 Professor Fields has also worked at the James Martin Center for Nonproliferation Studies, the Center for Strategic and International Studies (CSIS), and taught political science at Cal State LA. Dr. Fields earned his Ph.D. in Politics and International Relations from USC.